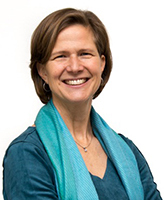 Professor of teacher professionalization, school development and educational technology at ELAN, the Department of Teacher Professional Development within the Faculty of Behavioral and Management Sciences at Twente University. Also Director of Twente's Educational Science and Technology master's Program, and of Pro-U, the in-service education program for teachers. My research focuses on understanding and supporting the interplay between curriculum development and teacher professional development, and often emphasizes the supportive role of technology in these processes. I am committed to exploring how educational research can serve the development of scientific understanding while also developing sustainable solutions to real problems in educational practice. Since educational design research lends itself to these dual aims, I also work on developing and explicating ways to conduct design research. 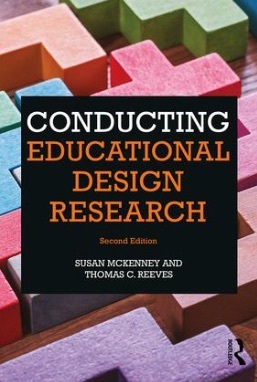 In addition to authoring numerous articles, I co-edited the book, Educational Design Research and, together with Tom Reeves, wrote the book, Conducting Educational Design Research. November 14, 2017: Invited talk on the infrastructure for teacher talent development at the University of Twente's Pro-U teacher network meeting. May 25-27, 2016: Various presentations at ORD conference in Rotterdam including: pre-conference workshop for PhD students on academic writing; symposium on participatory design and the build learning environment, ICO theme group symposium on technology in the curriculum, and more. April 16-20, 2015: AERA (American Educational Research Association) in Chicago, poster symposium on Teachers as Designers with Yael Kali, Joke Voogt, Ornit Sagy and others. November 19-20, 2014: Educational design research seminars in Bergen with the IMTE and Western Norway University Networks. July 24, 2014: AECT-RTD Webinar on building a line of investigation through Educational Design Research, with Tom Reeves. June 23-27, 2014: International Conference of the Learning Sciences (ICLS) in Boulder, Colorado. Pre-conference workshop on Tightening Research-Practice Connections with Kim Gomez and Brian Reiser; Invited symposium on Teachers as Designers with Yael Kali, Joke Voogt, Ornit Sagy and others. December 1-2, 2013: Invited talk in London at Peducate: Participatory Design of the Future Building School, bringing designers, architects, historians, learning experts, teachers and students together to envision schools of the future. November 27-29, 2013: Keynote address and panel discussion at the European Association for Practitioner Research on Improving Learning (EAPRIL) Bienne/Biel, Switzerland. November 18, 2013: Keynote address at the European Agency for Development in Special Needs Education International Conference in Brussels.